Lettuce aids digestion and promotes liver health. It can also reduce the risk of heart disease, stroke and cataracts. Other research shows it helps to reduce the risk of cancer and may ease nervous insomnia. However, if iceberg is the only type of lettuce you eat, you are choosing the least-nutritious member of a family of nutritional champions. Any other lettuce or leafy green vegetable would be a better choice ..
As a general rule, the darker green the leaves, the more nutritious the salad green. For example, romaine or watercress has seven to eight times as much beta-carotene, and two to four times the calcium, and twice the amount of potassium as iceberg lettuce. 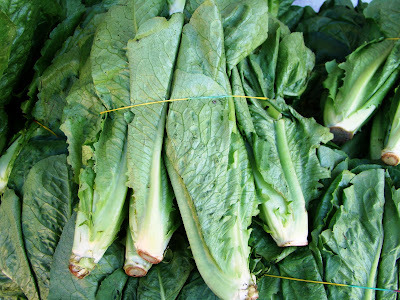 "The vitamins, minerals, phytonutrients and fiber found in romaine lettuce are especially good for the prevention or alleviation of many common health complaints," according to the website WHFoods.org. "Due to its extremely low calorie content and high water volume, romaine lettuce — while often overlooked in the nutrition world — is actually a very nutritious food. Based on its nutrient richness, our food ranking system qualified it as an excellent source of vitamin A (notably through its concentration of the pro-vitamin A carotenoid, beta-carotene), vitamin K, folate, vitamin C, manganese, and chromium. 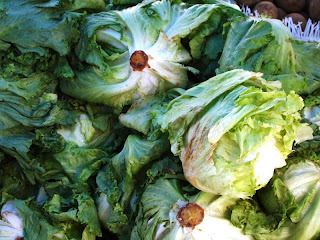 Romaine lettuce also emerged from our ranking system as a very good source of dietary fiber and 6 vitamins and minerals." By varying the greens in your salads, you can enhance the nutritional content as well as vary the tastes and textures. Don't rip up lettuce leaves. Tearing and chopping releases ripening enzymes that sap the nutrients, according to scientists at the UK's Norwich Institute of Food Research. This strips away 94 percent of their cancer-fighting flavonoids.